W. Elmo Mercer, Gospel Music | "Elmo Mercer is one of America's favorite gospel songwriters." "Elmo Mercer is one of America's favorite gospel songwriters." At the age of 19, Mercer composed “Each Step I Take”, his most well-known song which has been recorded by hundreds of artists in many languages, including Slim Whitman and George Beverly Shea. To date he has written over 1,600 songs and arranged thousands more for top singers, groups and publishers nationwide. 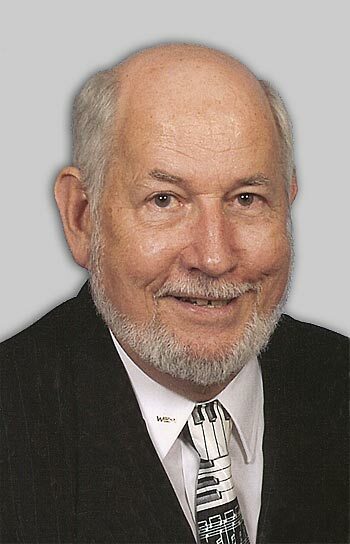 Mercer was church pianist for Park Avenue Baptist Church in Nashville for over 38 years. He still resides in Nashville today and is now leading music from the keyboard at Scottsboro Baptist Church. Read more about Elmo Mercer in his Biography, and view his available CDs and songbooks. Read about this inspirational new song that Elmo Mercer started writing in November 2017. You can now listen for yourself! In March 2018, it was officially released on a brand new CD! Contact Elmo to Order now! Only $12 (includes shipping). Each Step I Take is the life story of W. Elmo Mercer. Every page is filled with interesting and humorous stories that detail his many fascinating journeys. Contact Elmo to order your copy today! Elmo Mercer and Bill Salmon — 36 beloved hymns and southern gospel songs, including four medleys! These classics feature piano along with full orchestration and backup vocals too. A listening CD that can also be used as an accompaniment track. and Jason Coleman (Floyd Cramer’s grandson). You will treasure this! $10 each, or 3 for $25! (add $3 for shipping/handling) Order your copies today. exceptional recording of a few of their greatest hits and best-known songs. A fun recording of 11 of Elmo’s pop-country songs. “These Are The Blessings I Call Mine” and “Because Of Love. This album again confirms Elmo Mercer’s place among the southern gospel greats. Bill Gaither Trio, The Cathedrals, The Rambos, and Speer Family. An instrumental collection of 15 Mercer compositions, orchestrated in a new style! It can also double as a soundtrack for soloists, and song lyrics will be included. Elmo would be glad to work with you on your next gospel music project. Read more about how you and he can work together! A February 2014 article in Singing News magazine highlights Elmo Mercer’s storied past as a Southern Gospel composer, arranger and singer. Read more. Elmo Mercer’s music has always been great, and still is. Truett – “Those were the days, my friend!” We almost got thrown out of the church with my jazzy arrangement of “Love Lifted Me”!!! Thanks for your kind words. WHS reunion is June 26-27, 2015. Hope to see you there…? After enjoying and singing your songs for many years I finally can put a face to your name. Tennessee State Gospel Singing Convention this weekend was a wonderful time of worshiping God in song. Your singing/playing was awesome. If I have the honor of seeing you at a sing again I will practice and will race with you. I am the one you walked down the hall along beside me and asked if I wanted to race.